In her current video podcast, Chancellor Angela Merkel once again points out the importance of the G20 for Germany. 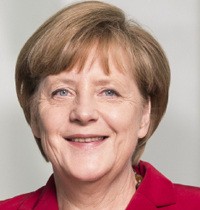 “Since this format came into existence, we have shown that together we can better solve global economic problems and promote development everywhere,” Merkel said. The Chancellor will attend the G20 summit in Buenos Aires next Friday and Saturday. Since the financial crisis in 2008, G20 summits have also taken place at the level of heads of state and government. “Germany has profited from the fact that the world has acted together,” Merkel emphasizes. In particular, the German government was able to return to the growth path very quickly through coordinated measures by the G20. These include growth programmes, stimulus measures and labour market policy measures. Looking back on last year’s G20 summit under the German Presidency, the Chancellor drew a good balance. In three areas it had been possible to set accents: Firstly, global health care. To combat pandemics, such as Ebola, international measures were anchored and the World Health Organization strengthened. In addition, the participation of women in economic development was improved. This applies in particular to the establishment of start-ups and small and medium-sized enterprises by women in Africa. Furthermore, Africa as a whole was a major priority. The Compact with Africa was launched and continued this year together with the World Bank and the European Monetary Fund. Finally, the importance of digitisation for society and the workforce was an issue that would be continued by the Argentinean Presidency this year.